A. Pidgorny Institute of Mechanical Engineering Problems of the National Academy of Sciences of Ukraine is a leading center of fundamental and applied research in the field of energy and mechanical engineering. The Institute maintains its historical countdown since 1939, when the Institute of Energy of the Academy of Sciences of the UkrSSR was founded in Kharkiv by the initiative of Academicians of the Academy of Sciences of the UkrSSR V. M. Khrushchev and G. F. Proskura. The establishment of such a branch of research in the field of energy, electrical engineering and power engineering in Kharkiv was in line with the demands of that time, as the city was already a major domestic machine-building and scientific center. As a result of a number of organizational and geographical transformations associated with the work of scientists in wartime, a group under the leadership of Academician G. F. Proskura returned to Kharkiv in 1948, and formed the staff of the Laboratory of High-Speed ​​Machines and Mechanics of the Academy of Sciences of the UkrSSR. Since 1954 the Laboratory was headed by its student – Academician of the Academy of Sciences of the UkrSSR A. P. Filippov. In 1955 the name of the Laboratory was changed to the Laboratory of Hydraulic Machines, in 1964 it was reorganized into a branch of the Institute of Mechanics of the Academy of Sciences of the UkrSSR, and from 1970 – to the branch of the Institute of Technical Thermophysics of the Academy of Sciences of the UkrSSR. In 1971 its leader became the young, talented doctor of technical sciences (later academician of the National Academy of Sciences of Ukraine) A.M. Pidgorny, and by his initiative in 1972 this branch was transformed into the Institute of Mechanical Engineering Problems of the Academy of Sciences of the UkrSSR. In 1996 the institute was named after A.M. Pidgorny in honor of the founder and the first director. The history of the Institute is associated with well-known Ukrainian scientists – academicians G. F. Proskura, A. P. Filippov, A. M. Podgorny, L. O. Shubenko-Shubin, V. L. Rvachev, Ju. M. Matsevity , whose activities were marked by the formation of scientific schools, which largely contributed to the definition of the scientific trends of the Institute. Academician G. F. Proskura is a well-known scientist in the field of applied hydro aerodynamics. He is one of the founders of the development of the theory of propeller turbines and pumps. His name is related to the formation of aviation in Ukraine. The core of the hydromechanics and the profiling of blade machines school that he created in Kharkiv were such well-known specialists as D. Ya. Aleksapolsky, V. M. Yershov, A. O. Korotkov, J. S. Leites and others. Scientific researchers led by G. F. Proskura Laboratory of high-speed machines and mechanisms in the field of physical processes occurring during the operation of hydraulic and gas turbines, pumps, hydraulic gears, etc., had not only a fundamental nature, but also a great practical significance – the results were tested in practice and were important for the country, because their introduction contributed to the revival and development of the economy, which was destroyed by the war. Under the guidance of a student G. F. Proskura, academician A. P. Filippov – a well-known scientist in the field of theoretical and applied mechanics – in Kharkiv, for the first time in Ukraine, a school of mechanical engineers was created, which developed numerous methods for calculating machine-building constructions using a computer.The continuation and deepening of these works were due to the need to reduce the metal consumption and increase the reliability and resource of machines. This direction was supported and developed in the works of his colleagues and students – V. M. Bulgakov, V. S. Gontkevich, B. Ya. Cantor, V. N. Mitkevich and others. 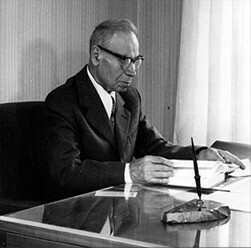 Academician L.O. Shubenko-Shubin – one of the scientific leaders in the field of power engineering – a school for the optimization of processes and elements of designs of turbine machines for power stations on nuclear and organic fuels was created by mathematical and physical modeling with the transition to design with the use of computers. Works in this direction were carried out by Yu. M. Dedusenko, A. A. Palagin, D. A. Pereverzev, V.F. Pozhikirev, A. O. Tarelin, O. L. Shubenko and others. 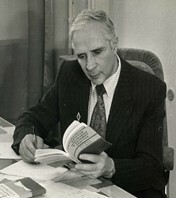 By the advent of a talented scientist, Doctor of Physical and Mathematical Sciences (later Academician of the Academy of Sciences of the UkrSSR) V. L. Rvachov, a school of mathematical modeling of physical processes was created, in which effective methods of solving boundary-value problems of the theory of continuous medium in the spheres of any geometric complexity. Apprentice A.P. Filippov and the first director of the Institute of Mechanical Engineering Problems of the National Academy of Sciences of Ukraine – A. M. Pidgorny directed his efforts, first of all, on the development of existing scientific schools and the attraction of top-sawyers. Due to his efforts, a branch of the Institute of Technical Thermophysics was reorganized into an independent academic institute. The scientific departments of talented scientists joined the institution – Doctors of Technical Sciences O. Ye. Bozhko, A.P. Kudryash, Yu. M. Matsevyty, G. O. Sokolovsky, Yu. G. Stoyan. They actively participated in the development of scientific directions of the institute. Under the guidance of Yu. 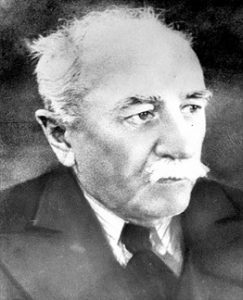 M. Matsevyty (later the academician of the National Academy of Sciences of Ukraine, the second director of the Institute), a scientific school of thermophysicists – experts in the field of nonlinear and inverse heat conduction problems – was created within the framework of the scientific direction of mathematical and physical modeling. Its representatives began to develop the original methodology of analog and numerical simulation, identification and optimization of heat and physical processes in power equipment and other technical objects. By that time, Institute of Mechanical Engineering Problems of the National Academy of Sciences of Ukraine became a powerful scientific and technical complex, which included its own institute, a special design and technological office (SDTO) and pilot production (PP). The peak of its development was achieved in the 80s of the last century, when 585 employees worked in its four branches, which included 16 scientific departments (with 1,280 persons with PP and SDTO). Much attention was paid to the training of high-level scientific staff through postgraduate and doctoral studies. Two specialized scientific councils for the defense of doctoral and master’s theses and four scientific and technical problem boards functioned in the institute. Annually about 50 post-graduate students study at post-graduate courses. The number of doctors trained among the staff of the institute steadily increased. mathematical and physical modeling – director V.L. Rvachev. The Institute, in all its years of existence, as well as its predecessors, has always been at the cutting edge of national science. His staff reacted briskly to the demands of time, on the tasks that arose in connection with the rapid development of the country’s machine-building complex, and they always solved them at the highest scientific level. So it was in the 50 years of the twentieth century, when the construction of hydroelectric power plants was launched and the country needed new hydro turbines, and in the 60’s, when the question arose the improvement of steam and gas turbines and the methods of their design, and in the 70’s, when humanity thought about the exhaustion of hydrocarbons, and there was a problem of finding alternative energy technologies, and in the 80’s when they were delivered the tasks of extending the service life of the working units, and their diagnosis and forecasting of the residual resource became very important, both in the 1990s and now, when the issues of energy independence and the sustainable functioning of the power grid were the priority issues. meadows of the country. 03.04.2019 Адміністрація Comments Off on Увага конкурс проектів НДР молодих учених НАН України у 2019 році!